As humans with an undeniable ego, we can be so hard on ourselves for not living up to standards. Even when we achieve our goal, we can want to aim higher or feel like we could've done better if we'd just pushed a little more, despite the suffering it took to get there. I've always been adamant that not succeeding in your first attempt doesn't mean you've failed. To me, not succeeding at your millionth attempt isn't failure either, as long as you gained knowledge or experience. 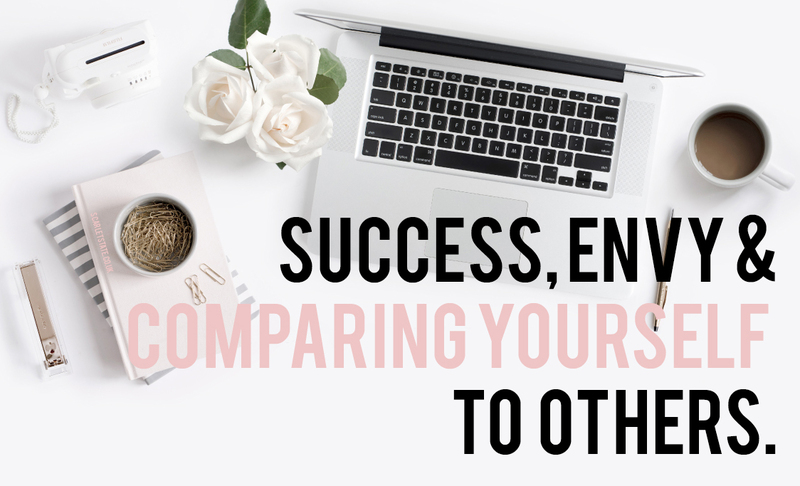 Even when we succeed by our own definition, we compare ourselves to those 'above' us, who've maybe been in the game longer than we have which lets face it, is ridiculous and unfair! We need to remember that all of these people we admire have been where we are. We all start as a speck on the face of our field and have to progress in our own time to be the best we can. Sort of like being a Pokémon trainer (fyi I haven't been able to put down the damn game since I got it). My favourite cliché holds true- to succeed you must believe that you can. You've got to accept new opportunities with open arms and embrace change. You must put just enough pressure on yourself to keep up the pace and don't be too proud to ask for advice when you need it. You can only learn so much from where others falter before you have to trip up a few times yourself. So what if you didn't write enough blog posts this month? So what if your portrait of Marilyn Monroe looks more like a stoned Danny Devito? Who cares if your grades were lower than you expected? The most important thing is that we can't define ourselves from our 'failures', as long as we're alive there's time to succeed and time to improve. The longer we try at it, the better we're going to get. The longer we try at it the more times we're likely to fall down (uh-huh, unfortunately, it works both ways). "Live every day like Elle Woods after Warner said she wasn't smart enough for law school." Instead of investing energy in comparing yourself to others, TALK to these 'others', listen to what they have to say! Soak up as much of their knowledge as you can! Chances are, people are out there admiring what you do, scared to ask for your opinion! Envy and ego go hand in hand. Channel both into improving yourself and there won't be time to be jealous of anybody else. Collaborate, communicate with others in your position and you'll get better! Maybe even make new friends. When it gets down to it, if you have something to help others succeed then give it. It's alright being a successful blogger/artist/writer/whatever but you will never be as valuable to others as the successful people who aren't afraid to say "Hey, I can help you". If you truly love what you do, you should be willing to share. Doesn't it pay more to be valuable AND successful? Only you define your success and the story that goes with it. This could mean finishing a book. Simply finishing a meal (click to read my eating disorder post). Getting a degree no matter what the grade. It might take you longer than others to get to where you want to be but if you wake up everyday looking dead ahead, you'll get there. The people you meet along the way are a part of your story too. When your name is up in metaphorical (or actual) lights, don't forget the ladder you climbed to get there. How do you define success? Have you been proud of anything lately?